We arrived into Los Angeles late Tuesday night, on Nov. 4th. We made our way to the rental car agency, picked up our van, and headed south to San Diego. What should have taken about two hours took us about three, and we arrived at our friend, Terry’s home at 1:30 am. Instead of sleeping, she had insisted on staying awake to greet us. We have not seen Terry for over ten years, so it was wonderful having the time to catch up. Terry is an amazing chef as well as gardener. 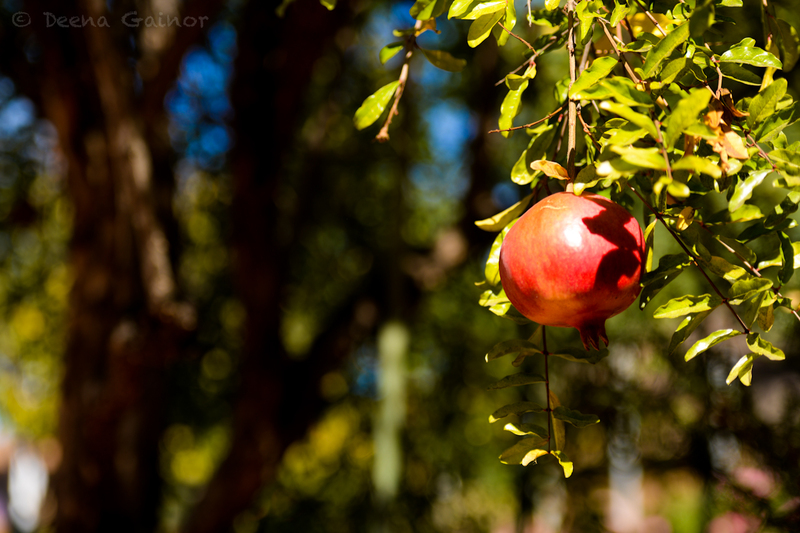 Below is a photo of one of her Pomegranate trees. 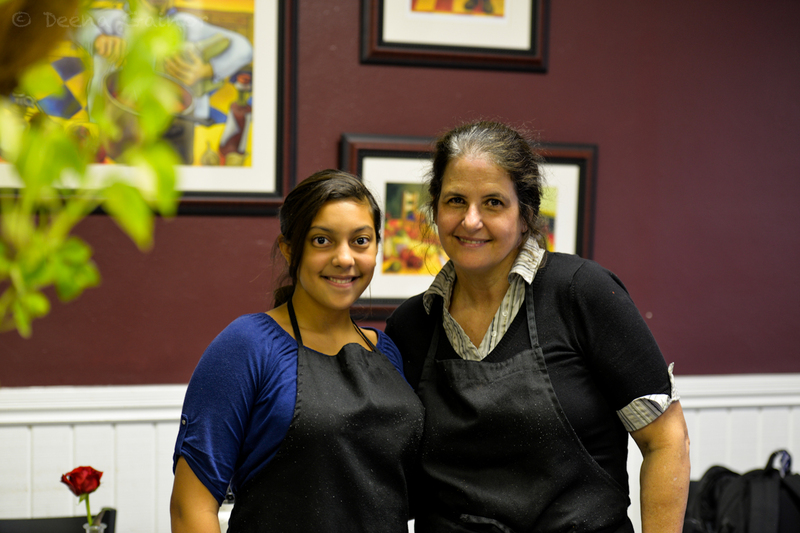 Terry owns her own Cafe, which she started a few years ago. Her Cafe is amazing, truly it is. 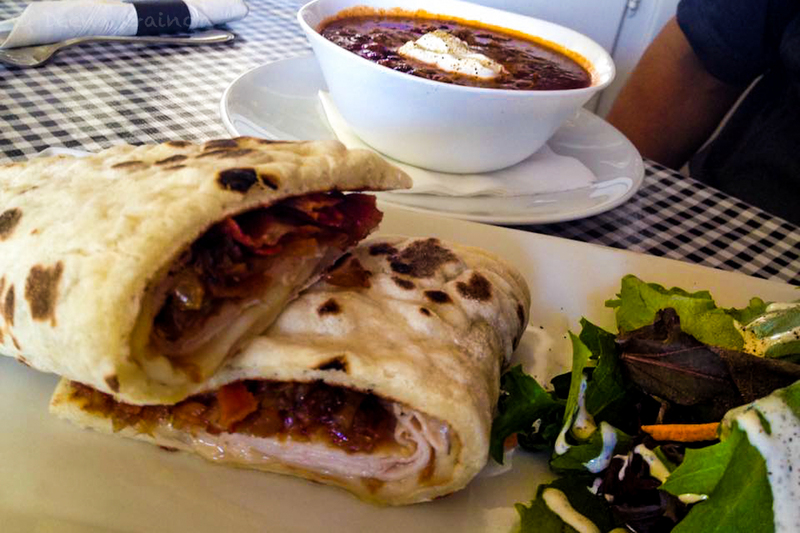 She creates savory meals but also offers a lot of fantastic healthy and Gluten Free options! 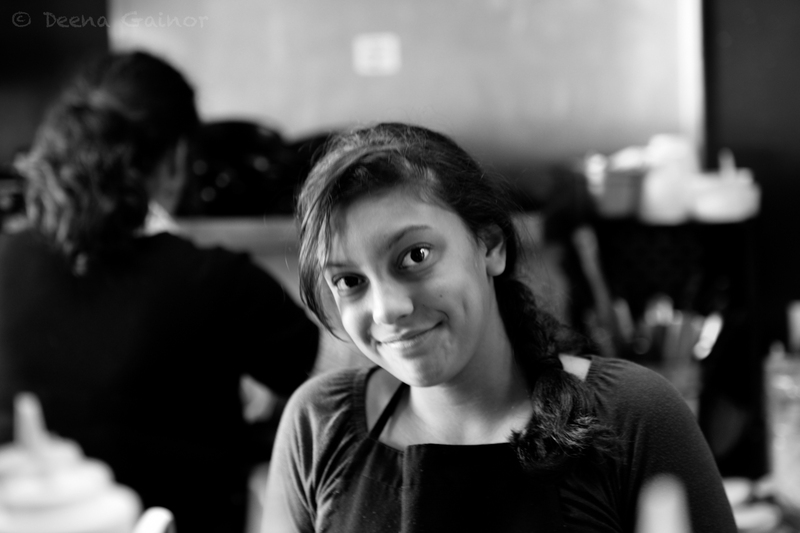 Early Wednesday morning, Mikayla joined Terry and spent the day at her lovely cafe, La Farfalla, learning how to cook and run a cafe. 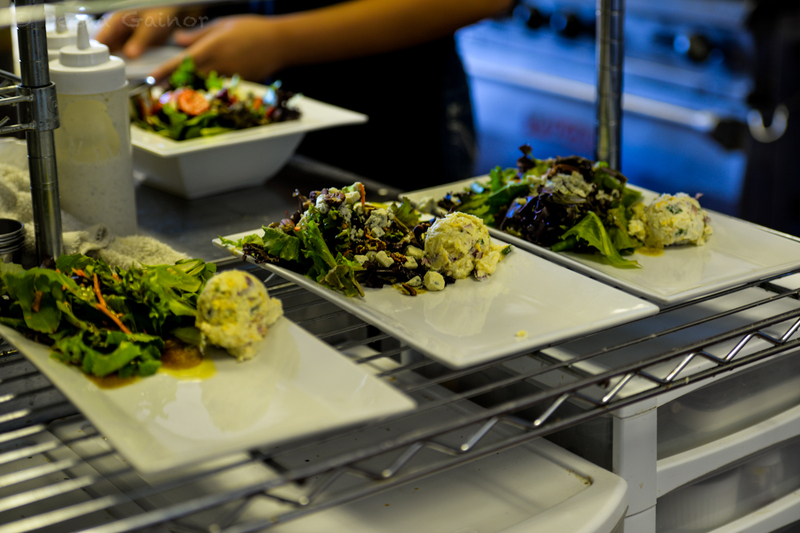 She had the opportunity to cook, bake, and put together gourmet salads. What an invaluable experience! Kathryn got to join Mikayla and Terry later in the day, and had a blast! It may have had something to do with the sampling of cookies and brownies, but I’m not sure. Thank you, Terry, for such a special visit! After a long, wonderful day at the Cafe!